← Retail’s Super Saturday – Be Kind, Peeps! So how’s your package-wrapping coming? This entry was posted in Christmas, holidays, snark, War on Christmas. Bookmark the permalink. Solstice has come and gone the new year offers hope, challenges and opportunities. Our 12th anniversary was yesterday. Nice day, good dinner that I didn’t have to cook and best of all it was a day with my sweetie. I also signed a lease on a news studio. Big plans for that x allegorical imagery in the baroque style (Caravaggio) with content updated to reflect our modern culture and aesthetic. Um … I was supposed to wrap them instead of rapping them? 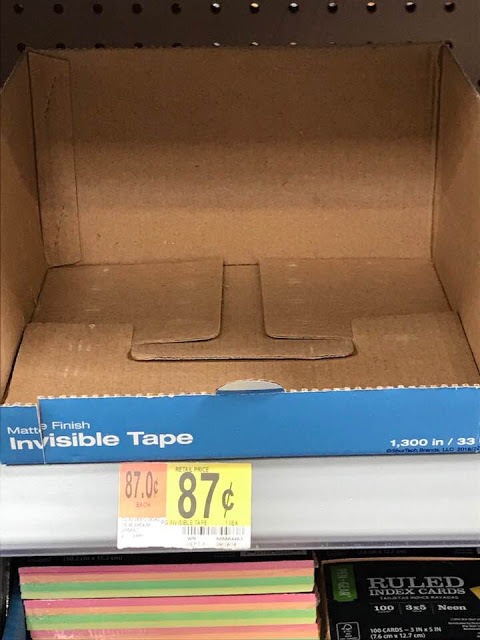 It’s good to see the tape is in stock. Gotta try that tape. When it doubles over and gets stuck to itself, I won’t even know! Much easier on the nerves.